PDF tutorials include step by step instructions with full color, high quality photographs. "I got my tutorial...and it is AMAZING!! The pictures are great and the instructions too. This is not my first from you - as usual they are SO well done. Thanks for making my week crafty!" of it is so professional looking and I was blown away!" 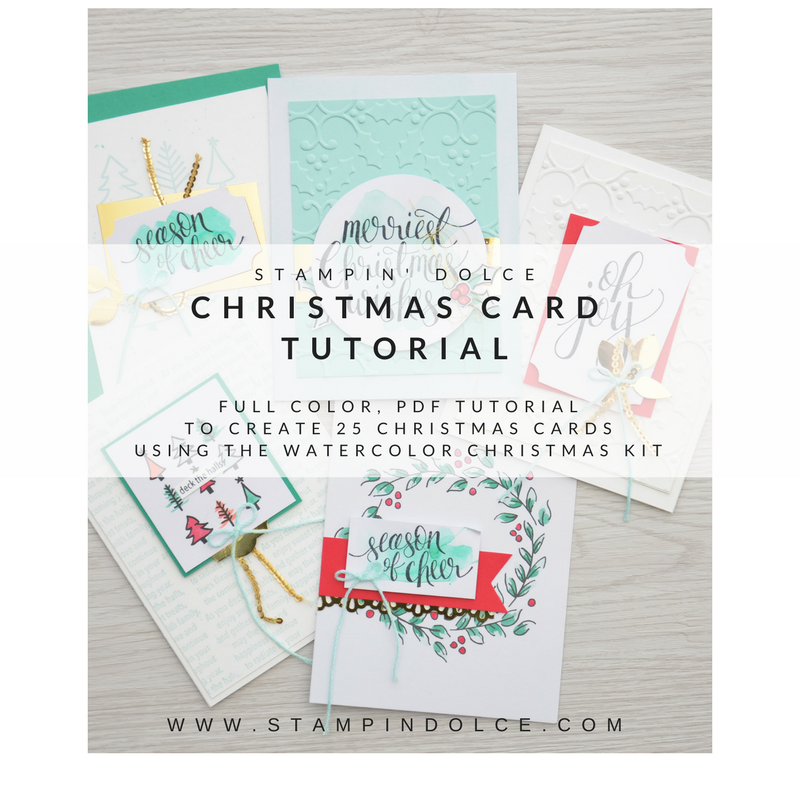 This tutorial will walk you through creating 25 Christmas cards, 5 each of 5 different designs. I have used the Watercolor Christmas Project Kit and the Watercolor Christmas Stamp Set. 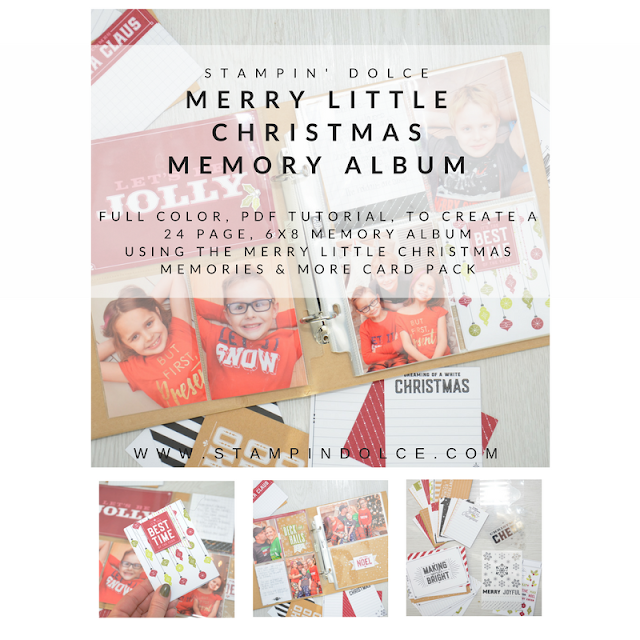 This tutorial will walk you through creating a 24 page, 6x8 album using the Merry Little Christmas Memories & More Card Pack from Stampin' up!. Using the "Hello December 2016" Project Life Card Collection from Stampin' Up!©. This 4 page PDF tutorial will walk you through creating 13 Christmas Cards using the "Hello December 2016" Project Life Card Collection. Other Stampin' Up! products have been used to complete these cards, including Fabulous Foil Designer Acetate and a Christmas greeting stamp set. A complete project supply list will be included with color product photographs. 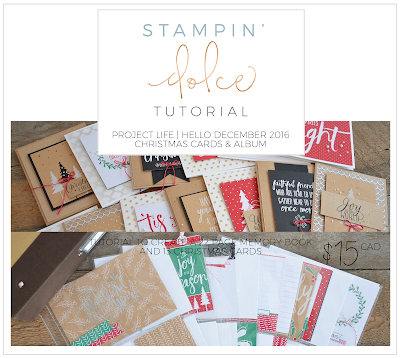 Using the"Hello December 2016" Project Life Card Collection from Stampin' Up! ©. 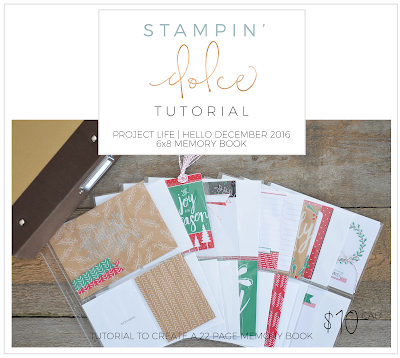 This 12 page PDF tutorial will walk you through creating a 22 page Project Life Memory Book using the "Hello December 2016" Project Life Card Collection. 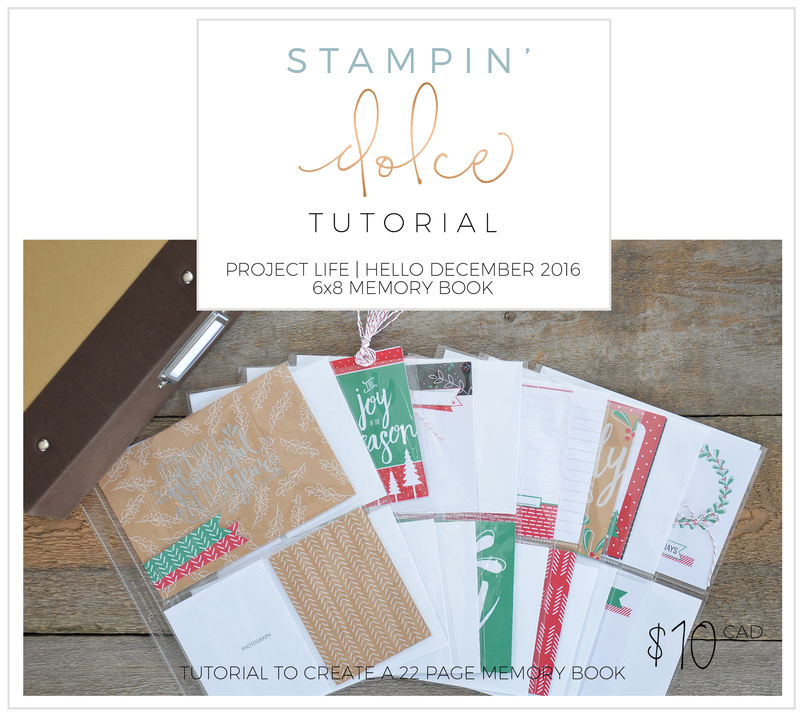 Thi 16 page PDF tutorial will walk you through creating a 22 page 6" x 8" Project Life Memory Book plus 13 Christmas Cards using the "Hello December 2016" Project Life Card Collection. 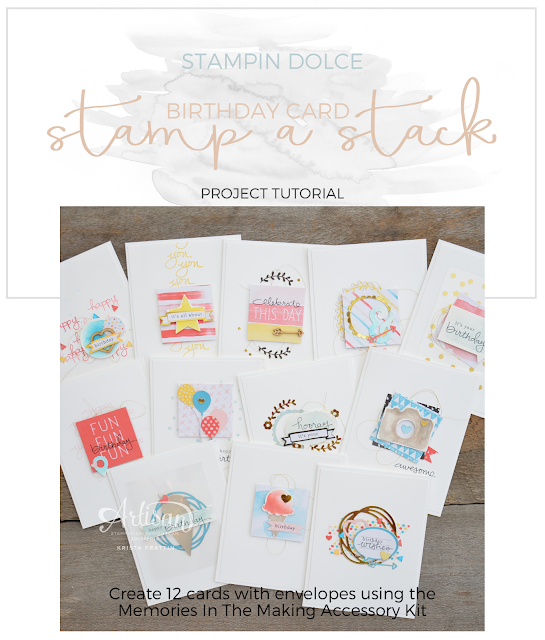 This PDF tutorial will help you create 12 birthday cards with a snap of your fingers thanks to the Memories In the Making Project Life Accessory Pack! The "Hello December 2015" Project Life Collection & Accessory Pack are on the clearance rack from Stampin' Up!. Purchase this tutorial to create 18 handmade cards using the "Hello December 2015" Card Collection & Accessory Pack. You will receive a 6 page color PDF file with a product supply list, step by step instructions & color images. PDF instructions will be emailed to you within 24 hours of your order. Get your holiday memories into a 6"x8" Project Life album! 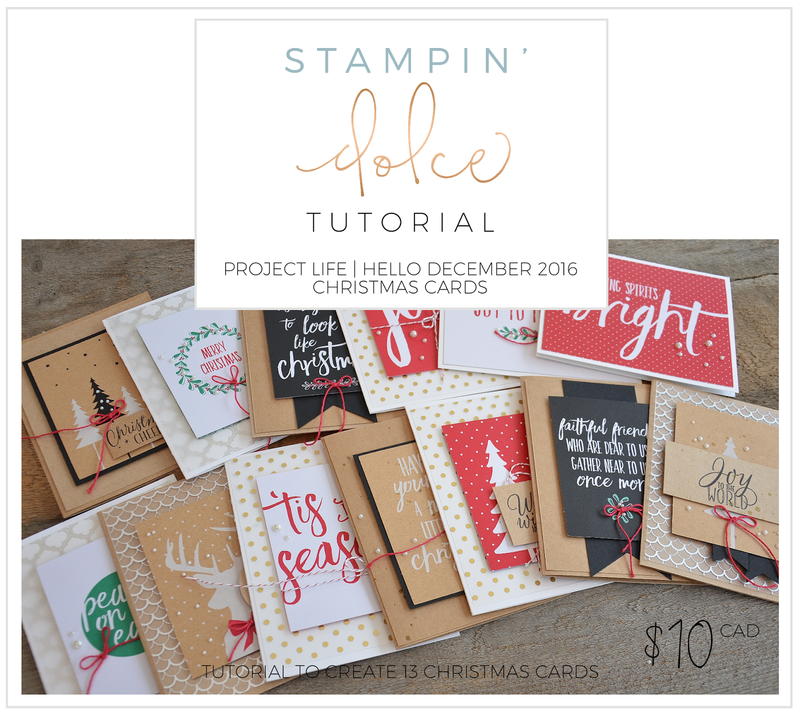 The "Hello December 2015" Project Life Collection & Accessory Pack are on the clearance rack from Stampin' Up!. Purchase this tutorial to create 18 handmade cards using the "Hello December" Card Collection & Accessory Pack. You will receive a 8 page color PDF file with a product supply list, step by step instructions & color images. PDF instructions will be emailed to you within 24 hours of your order on weekdays.